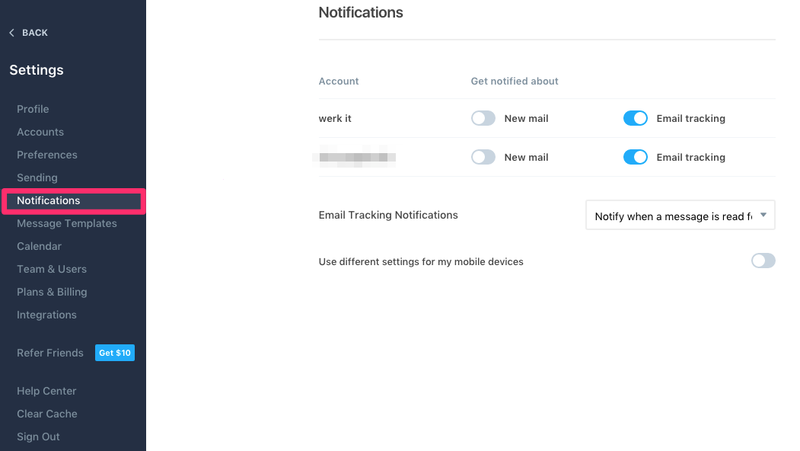 You can customize how you receive notifications for emails and tracking on all of our apps. Click the small carrot in the lower left corner of the app, and then click Settings in the menu that appears. 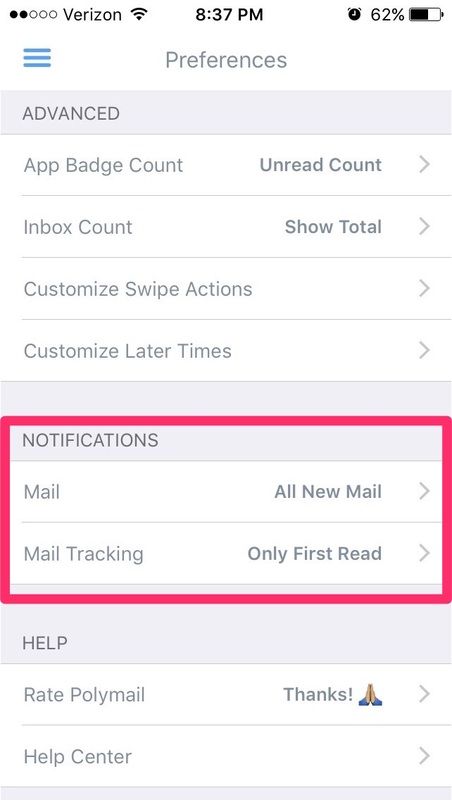 Here you'll decide if you want to receive notifications for new incoming email for each email address you've synced, as well as whether you want to receive notifications the first time a message is read or every time it's read. You can also specify whether you want the same settings on our mobile app, or you want to switch those up. Open Polymail and click on the menu icon in the top left corner (three horizontal lines). Scroll down to the bottom of the menu that appears and click on the gear icon next to your name. Scroll down to the “Notifications” section towards the bottom of the page. Make your adjustments - we’ll save your changes!